Your credential provides access to taste at the following winery tasting rooms and hospitality venues from 10:00 AM - 4:00 PM unless otherwise stated. 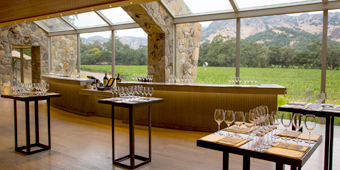 ⊠Join Michael Baldacci for a casual tasting of the 2005, 2010 and 2015 vintages of the Black Label Stags Leap Estate Grown Cabernet Sauvignon. This mini vertical expresses the aging potential from this famous region and showcases the growing season from these three distinct vintages. Cheese and charcuterie will also be available. RSVPs are encouraged! Please email taste@baldaccivineyards.com to let us know that you will be stopping by. ⊠Chimney Rock Winery is proud to be a long-standing part of the Stags Leap District since shortly before its inception… While the years have marched on, our important truth and dedication remain – that of crafting estate wines that portray and express a unique point and place in time. 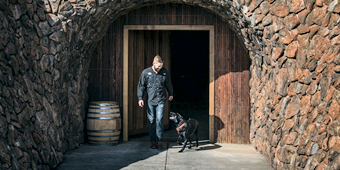 Elizabeth Vianna (Winemaker/General Manager and Maestro of our Vineyard Symphony) and Matt Cousins (Tasting Room Manager and Hospitality Virtuoso) warmly invite weekend guests to join us for a unique "behind-the-curtain" experience to savor some of our exciting estate gems. Elizabeth and Matt will be hosting and sharing some coveted single-vineyard bottlings (past, present, and future) from the iconic estate. Artisan cheeses, charcuterie meats, and special same-day offers will be part of the experience… We sincerely hope you will join us! ⊠Passholders are invited to "Savor SLD" with wood-fired pizzas served alongside our 2017 Sauvignon Blanc, 2015 Moon Fantasy Cabernet Sauvignon, 2016 and 2006 vintages of our Stags Leap District Cabernet Sauvignon, and the 2010 vintage of our flagship wine, Poetry. Jason Lede and Director of Vineyard Operations, Allison Cellini Wilson, will share information about the estate and what makes the District a world-class growing region for Cabernet Sauvignon. Relax in our picturesque Front Row outdoor lounge space, usually reserved for wine club members. Live music by solo guitarist Alec Furhman. 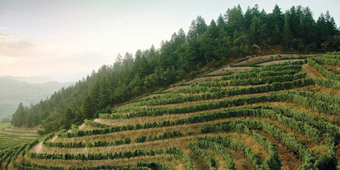 ⊠Join us for a seated tasting of past, present and future wines of Clos Du Val. Guests will taste current releases, barrel taste a future vintage, and finish off the experience with a few splashes from our library collection. We look forward to seeing you! 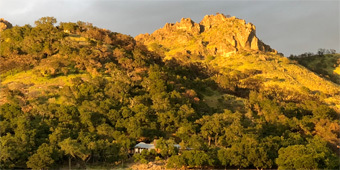 ⊠Join Carol and Greg Lindstrom at their home perched atop Stags Leap District for a personal tasting of their 2014 Cabernet Sauvignon from their estate, 2016 Pinot Noir and 2015 Blend. Use Odette estate entrance and continue to the bottom of signed driveway. A shuttle will be provided to take you up the hill. ⊠Greeted with a splash of Miller Ranch Sauvignon Blanc, Silverado’s hospitality team will then whisk you off to your table on our terrace overlooking sweeping views of the Stags Leap District. Designed exclusively for SAVOR guests, your tasting explores three renowned Napa Valley appellations. These cabernet sauvignons will show the common thread of our estate’s cohesive winemaking philosophy while allowing each distinct terroir to shine through. The tasting concludes with the estate’s exclusive Mt George Merlot chocolate truffles. Cheers! ⊠We look forward to welcoming weekend guests on Sunday for a special tasting! 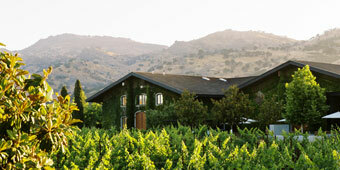 ⊠Spend the afternoon with founder Richard Steltzner, below the Palisades at Steltzner Vineyards Spring Soiree. Taste, savor and surround yourself in all things Stags Leap. A sneak peak of the highly anticipated 2016 releases from Steltzner Vineyards and our newest Stags Leap project, Bench Vineyards. Live fire cooking, an installation by our artist in residence Vincent Connors and a preview of Heron House Yountville, which opens July 2019. The ultimate way to cap off the 30th celebration of Stags Leap District AVA and our 55 years here in the district. Please RSVP to wines@steltzner.com if you plan to join us. Note our hours are 12:00 - 4:00 PM.